On Saturday I walked those narrow paths of Milltown Cemetery in west Belfast with my long-time friend Mervyn Jess. The sun was shining; not one of those days when the rain and the cold and the clouds arrive uninvited to add their sorrow and presence to death. 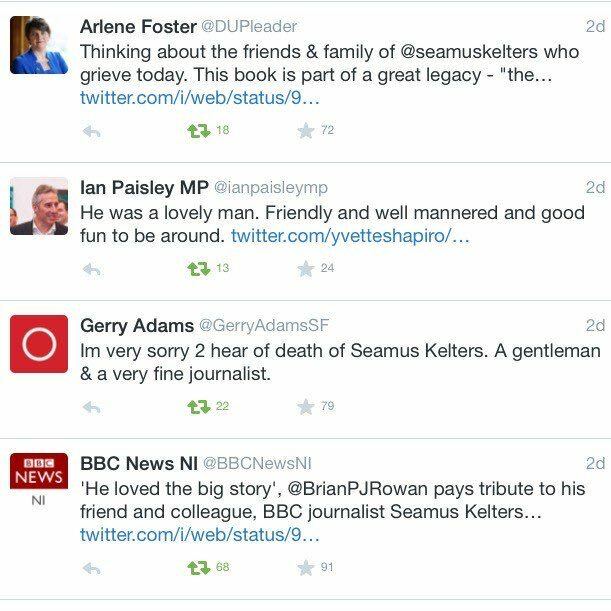 We had just left the graveside of Seamus Kelters and his burial after the most remarkable of masses. In his own style and way, Seamus had written his own eulogy; delivered brilliantly and with so much love by his two sons Brendan and Michael. In recent days, we have watched these young men perform roles of support that require so much strength, and we have watched their mum Camilla – Seamus’s wife and soulmate – watch them and hold onto them with so much pride. Seamus was just 54. He died on Wednesday after a short illness – a fight and a battle with cancer. His journalist career spanned the Irish News and the BBC and he was one of the co-authors of Lost Lives – a book of a million words logging all the deaths of the conflict period; a book that in its detail remembers what many have long since forgotten. The funeral priest Fr Martin Magill spoke of its importance, how he keeps that book beside him on his desk. It is a memorial to the victims – to all the dead – of a past that is still our present; unaddressed and unanswered. Someone who called the BBC journalist Julian O’Neill this week, captured Seamus Kelters in just a few words, “he had time for the little people”. He had time for everyone, and they had time for him. In the tweets above, you see that in this week and in this period of political standoff, he got Arlene Foster and Gerry Adams to agree on something – this part of his genius; and, so, on that walk with Mervyn Jess through Milltown Cemetery on Saturday, I chatted about that blizzard of emotions that creates turmoil in our heads at times like this – the anger and the questions. Why Seamus? Why so young? Why life can be so cruel and so unfair and, when that emotional storm eventually calmed, I told him I was left with this. That I had thought about the football scenario in which someone plays a blinder and the manager takes him off early to ensure the deserved ovation and acknowledgement. Of course, we don’t have the answers but, at times like this, we hold to something. There has to be some reason; some explanation. In his work, in his field of play, Seamus Kelters never took a bow, but he deserved such recognition. In every sense, he was the best of us. In that self-written eulogy, he told us he didn’t like funerals – “especially this one” and he wondered where Jess would find another straight man. 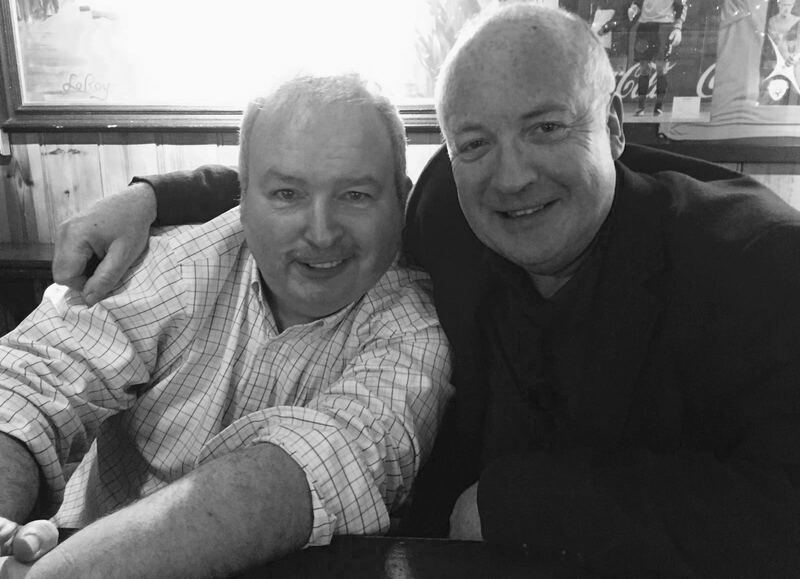 They were a kind of Morecambe and Wise combination, a double act, great craic, great company, great friends, great to be around. Eamonn Mallie tweeted a few words he borrowed from the Tommy Sands song There Were Roses – that line that the tears of the people ran together. 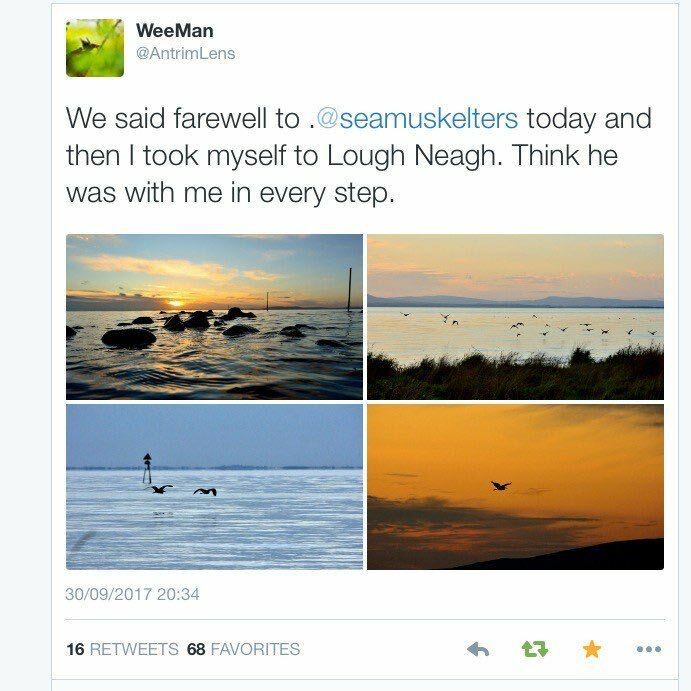 In his company, Seamus often made us smile. I can still hear him saying, “we’ll get a ‘drop’ of tea”. It was never a cup, and those many gatherings always came with jam and butter and biscuits and the wisdom and the stories of this wonderful man. Those who knew him are shattered. You hear it in their words, hear it in their voices, heard it when his friend and colleague David Lynas read a prayer on the altar on Saturday; read prayers with others including David McKittrick, Donna Traynor and Sister Martina. They cannot believe what has happened. That eulogy made us cry and it made us laugh – the long and loud applause so deserved as we were guided through a tough day by someone who had guided us through many other tough days. It was a remarkable occasion for a remarkable man. October 1, 2017 in News & Current Affairs. Seamus and Camilla changed my life. I did my Masters because of Brendan. I was just an ordinary teacher up to then. U.